Over these last days since we placed my mom on hospice care, I was surprised how many people shared with me how her story inspired them. This shouldn’t have surprised me as I have been hearing this for many years now. Still, as she has languished over the past 3.5 years in a nursing home, I guess I didn’t realize that many people still thought of her, loved her, and prayed for her. Hers is a story that should be told. Certainly not in a way that glorifies her. (She really wouldn’t want that). But in a way which teaches a thing or two about the grace of God and the strength that only comes from Him. Born February 16, 1941, the second youngest daughter of a very large family and raised on a farm on Hwy. 16 between Watertown and Ixonia, Rosalee (Oestreich) Torkelson faced challenges from the get-go. Born with stribismus, she had surgery at age 8 to correct the problem with the help of my aunt/uncle. (He is a retired LCMS pastor). After graduating from high school, she had early gall bladder removal at the age of 25 (pre-laproscopy) and ovarian issues that made her a long shot to conceive. Her first job out of HS was as an executive secretary at a Watertown plant. She was already typing at 90 words/minute in HS. She worked it for about a year and a half and told the boss to take the job and shove it (quite literally). 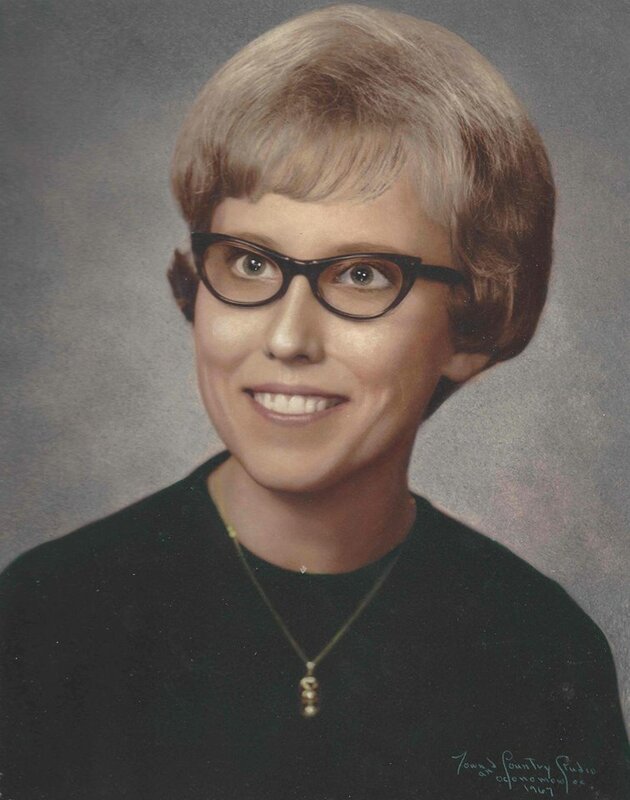 She then joined Lindberg in Watertown as a computer/data systems operator. It was 1961. She didn’t have a college education AND she was a woman. She would work on mainframe computers until 1986, when her world would change completely. On July 18, 1986, my mom and dad were traveling to Door County to see a concert I was going to do at the Birch Creek Summer Music Camp in Egg Harbor. I was in a two week jazz program and it was the weekend between the first and second weeks. They would never arrive. Between Oshkosh and Neenah on Hwy. 41, their car rolled over in the median. My father was killed instantly. Mom survived…barely. Friends and family who remember those heady days often forget that mom was able to move her legs normally after the accident. Despite the loss of her husband and the pain she was undergoing, she often would kick her legs up, knee up, while she laid in bed. Nothing wrong there. After being released from ICU, they had her on a machine where she could give herself a small dose of morphine for pain. She never pushed the button. The nurses were the only ones who pushed it. All the while the doctors couldn’t help but talk about her unusually high tolerance for pain. On July 31, I visited her in the morning. At first, we were talking normally when all of a sudden her teeth started to chatter and she complained that she was bitterly cold. I watched her temp go from normal to 104 in a half hour. The doctors told us to go home. They ordered CAT scans and discovered that an abscess had formed next to her spinal cord and burst. It was spreading infective pus into her spinal cord. At 2pm we got the call that she would require surgery. The surgery commenced at 3. The phone rang a little after 10 (over seven hours later) that the surgery was completed and she was in Surgical ICU at County General in Milwaukee. At 7am on Friday, Aug. 1, the phone rang again. She was still spiking temps. Another CAT had been ordered. More infection. She needed another surgery. My pastor, Rev. Don Wilke, took me to Milwaukee. We sat and waited through another 3.5 hour surgery. When they were done, the docs told pastor and me that she was back in SICU and that, while they were sure they got all the infection out, they were not sure if she would survive or if she would have use of her legs if she did. Then the moment of truth. Punching the board like it had done something to hurt her, she asked, “What about my legs?” I told her, the doctors didn’t know if they were effected or not. She pointed both hands down to her legs and shrugged with her hands up and out, as if to say, “nothing.” She clearly told us she couldn’t move her legs. We didn’t know whether or not it would be temporary or permanent. Turns out, it was permanent. Not long after getting out of SICU, she would contract another infection and because she was allergic to Sulfa drugs, she had to use the old, slow antibiotics. Six weeks in isolation in Neurological ICU. Still, she would not give up. 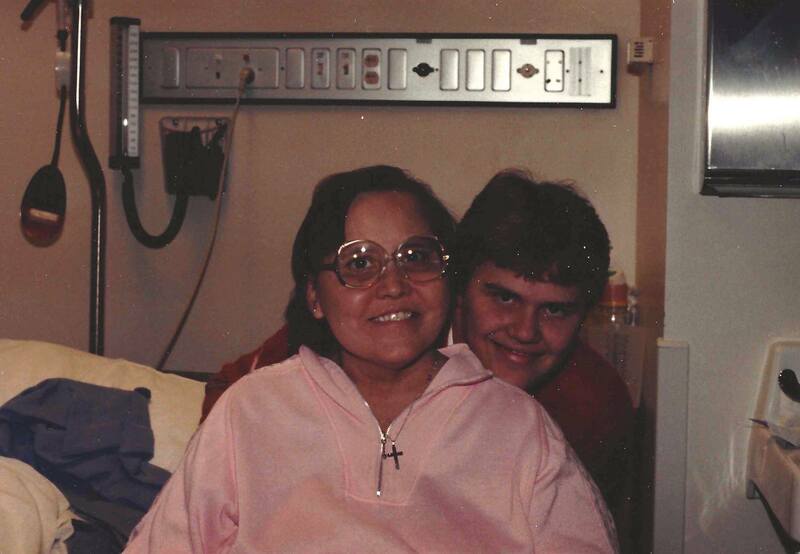 Eventually she was transferred to the new Spinal Cord Injury Center at Froedtert Hospital. Considered one of the best new spinal cord centers in America, she was one of its first year graduates. Eventually she was released in early March 1987, over 8 months after the accident. She was given a 20 year prognosis. That was 28 years ago. What ensued was daily physical therapy and increasing independence. She wanted to be ready for her son to leave and go to college. She was. But then she set her goals higher. She wanted to go back to work. Her old boss took her on to do accounts for the nursing home. 4 hrs. a day/20 hrs. a week. Within three years it was back to 40 hour work weeks for Rosalee. She drove her van every day to work, parked in the handicapped spot and even wheeled herself up the little hill and into the building. It was something to watch. During the evening of the day of my graduation from HS, she called me into her bedroom. She was lying in bed after transferring from her chair. “Look at this, Dan.” She was wiggling her toes for the first time. In a couple of weeks she was laterally moving her feet. Pretty soon, she was lifting her knees, at least partially. After much therapy and several doctor appointments, she decided to have the spinal fusion surgery that she was not able to have after the accident. The doctors said they thought it might increase her chance of walking again. Checking into Froedtert the day before the surgery, they were inserting her main line IV when they struck an artery and she lost almost half of her blood supply. Spooked by the experience, she asked to be discharged. She told us she was content to remain in the wheelchair. Still, she worked to see how far she could push herself. During my vicarage I saw her stand and take a few steps with the help of bars in the physical therapy department at the nursing home. But that’s as far as it went. I was one of the only ones who got to see that. 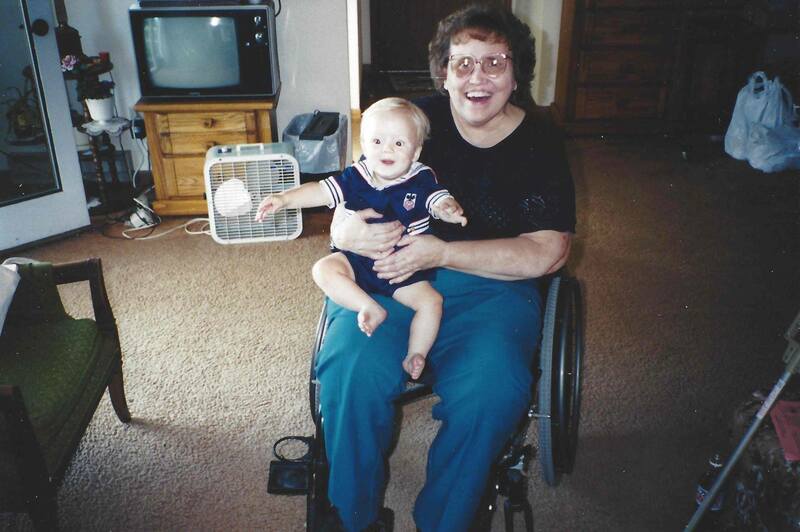 Mom was a card-carrying Republican and always had a conscience about being on SSI/Disability. When she was deciding to go to 40 hour work weeks, she called Dodge County Health and Human Services to inquire about what she had to do to go OFF disability. The lady on the other end of the phone line had no idea what to do. She was flabbergasted. But it’s a great story about Rosalee Torkelson. She was not one to take charity if she didn’t need it. She eventually went off disability, several months before upping her workload. That was just her. Strength is not always a positive. Behind mom’s physical strength was a mental toughness that sometimes didn’t work to her advantage. She told it like it was. Quite often, diplomacy wasn’t her strong suit. Do know that the strength so many people admired in her had its limits and its negatives. She was not perfect. Strong man Samson’s strength was both blessing and curse. None of us are perfect. But under the tough veneer was often a heart of gold. A lot of what she did, I know she did for me, that I wouldn’t lose both my parents…that I would have a mother. Up to this point, I haven’t said much about the faith she confessed. But it needs to be said, such awesome strength was God’s gift to her. We could praise Rosie or we could bow the knee in wonder at the God who made her, saved her life, preserved her, strengthened her. For me, it’s these words that say so much about what it means to live under His grace and what it meant for mom. 2 Cor. 6 4 Rather, as servants of God we commend ourselves in every way: in great endurance; in troubles, hardships and distresses; 5 in beatings, imprisonments and riots; in hard work, sleepless nights and hunger; 6 in purity, understanding, patience and kindness; in the Holy Spirit and in sincere love;7 in truthful speech and in the power of God; with weapons of righteousness in the right hand and in the left; 8 through glory and dishonor, bad report and good report; genuine, yet regarded as impostors; 9 known, yet regarded as unknown; dying, and yet we live on; beaten, and yet not killed; 10 sorrowful, yet always rejoicing; poor, yet making many rich; having nothing, and yet possessing everything. 73 years seems like such a short life. But I think my mom would tell you that it depends on how you lived it. When God finally takes her, He will take someone who squeezed every drop of blood from this turnip of a life. Life is a very precious thing and it is ALWAYS something to be fought for. In our day and age, where people rather weakly argue that they should be able to control their living and their dying, the proudest thing I can say is how my mother stands against such cowardice. When she dies, she will die having truly lived. Christ, in His love and grace, will have brought her from strength to Strength. I thank everyone for their comments and well wishes. I thank God for what I learned these past 28 years. I thank God for my mother. What beautiful thoughts about your mom, Dan!! What amazes me is the crystal clarity of the events in 1986– I remember her being able to move her legs and wiggle her toes–that was the first thing I said to her when I got there. I remember feeling relieved, thinking that she was going to be ok. That’s what we get for thinking, I guess!! My mom was already on vacation in Watertown when your grandma called and told me that she had horrible news to tell me–I thought my mom had died. To me it was just about as bad because your dad was like a big brother to me. I think we were in Wisconsin by the next day–Fran and Bernie made trips to Mileaukee with me. You were so young at the time that the clarity of your memories boggle my brain!! Your mom has always been such a strong, special lady that there is no wonder she would accomplish what she did. I agree with you that her story should be told–you did it eloquently with love laced through every word. A wonderful tribute. Thank you for sharing her story – and yours. God bless you, my brother.